Fifty years ago, NASA made a great Christmas present to all space enthusiasts with Apollo 8. For the first time, humans went around the Moon and sent awesome images back. … and the colonization of the Moon, which didn’t happen. Now, Chinese lunar exploration mission Chang’e 4 is set to achieve the first soft-landing on the far side of the Moon. The robotic lander and rover were launched on 7 December 2018, and landing is scheduled for the first week of January 2019. 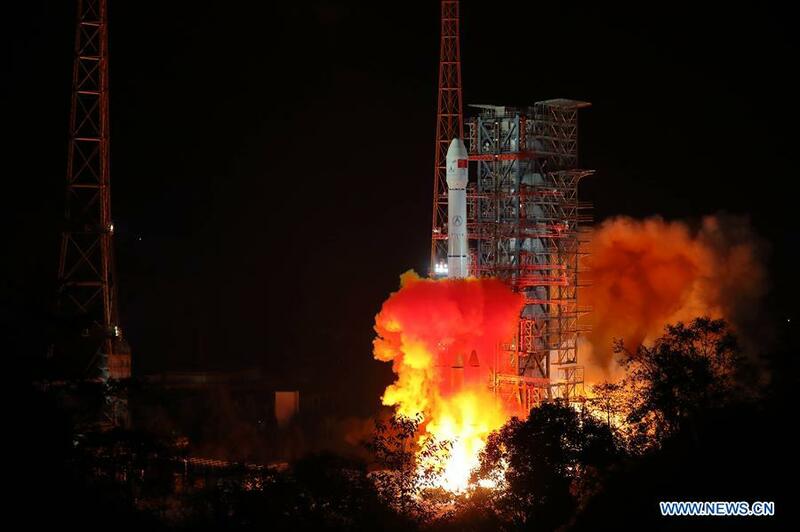 A communication relay satellite to support the mission named Queqiao, which had been previously launched in May 2018, is now operational. Earlier this week the China Academy of Space Technology (CAST), in a social media post (Chinese), stated that Chang’e-4 has had several “phone calls” with Queqiao while around the Moon, GBTimes reports. The Von Kármán crater where Chang’e 4 will land is located within an even larger impact crater called South Pole–Aitken basin, which contains the lunar south pole. It’s worth noting that locations near the lunar south pole, such as the Shackleton crater, have been proposed by space agencies including NASA and ESA as interesting candidates for lunar outposts. Therefore, the data returned by Chang’e 4 could be very important for future lunar missions, and prepare the way for the colonization of the Moon. In fact, China has has ambitious space plans, which include crewed missions to the Moon. This is the Christmas magic of Chang’e 4. No, it’s not Apollo 8 — not yet. But look at the Moon in the black sky, and think of the Chinese robotic explorer Chang’e 4, meaningfully named after the Chinese lunar goddess, which is flying around the moon on Christmas waiting to land, in preparation for a permanent human presence on the Moon and beyond. And let’s hope that also “the West” wakes up again. Cover picture from Xinhuanet, Earthrise picture from Wikimedia Commons. Writer, futurist, sometime philosopher. Editor of Maximum Jailbreak. 50 years ago, the Apollo 8 astronauts were just back from the first orbital flight around the Moon. In a few months we’ll celebrate the 50th anniversary of Apollo 11 — the first human Moon landing on July 20, 1969. Motherboard asked 105 interdisciplinary thinkers about their fears and hopes about the future. I had the honor of being invited to participate.